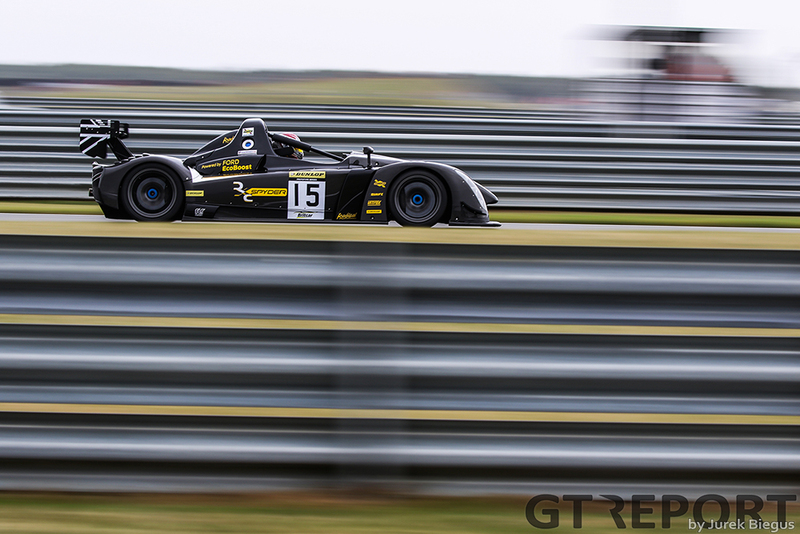 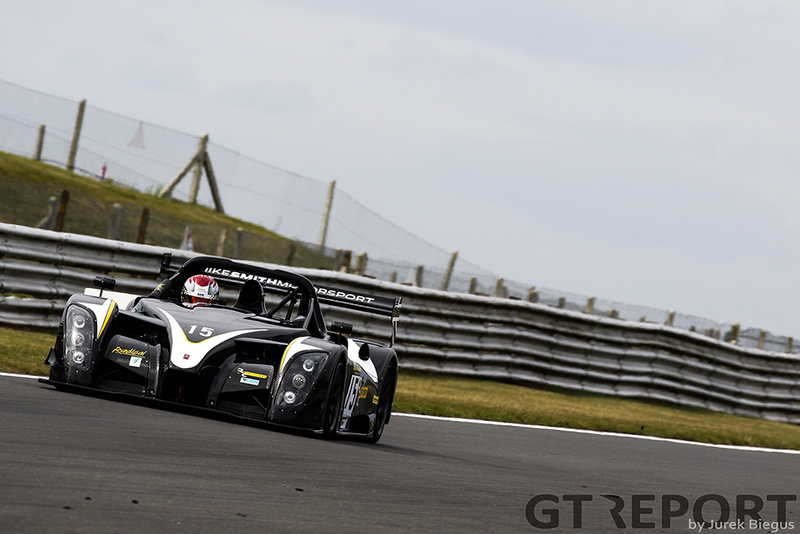 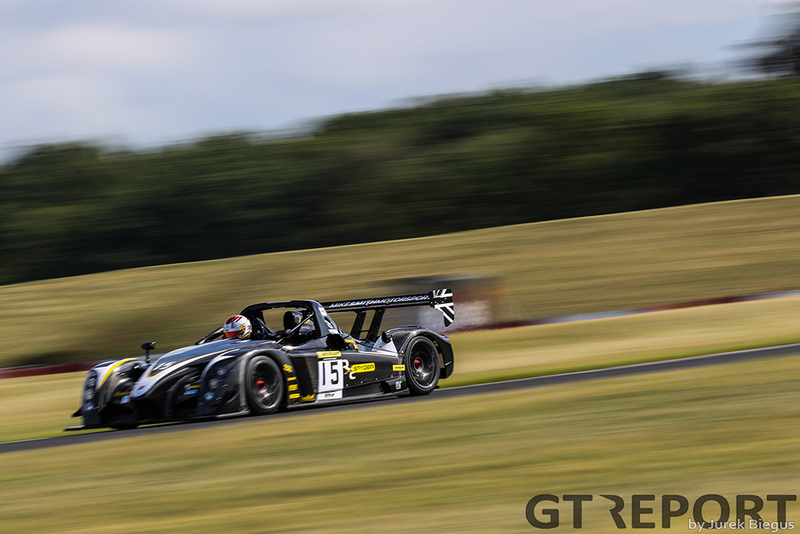 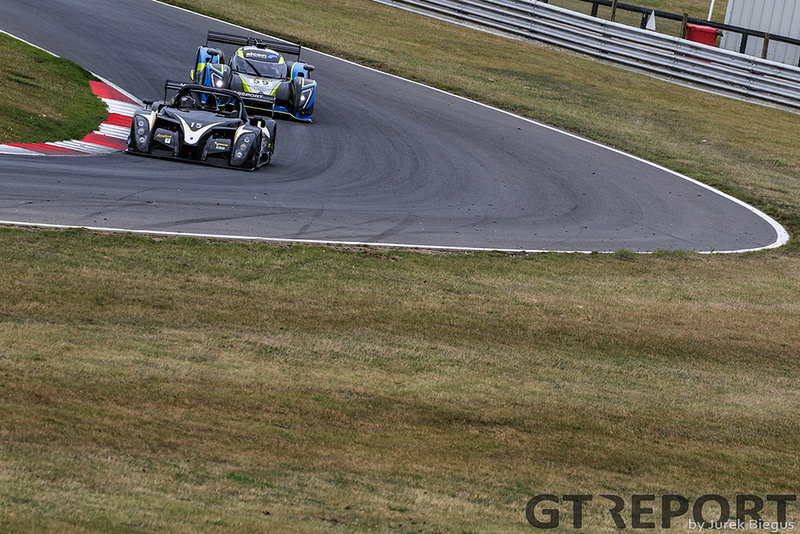 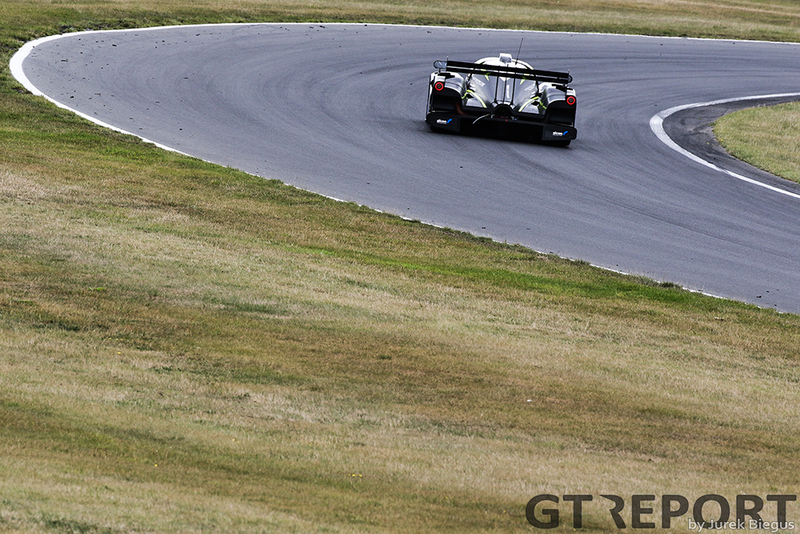 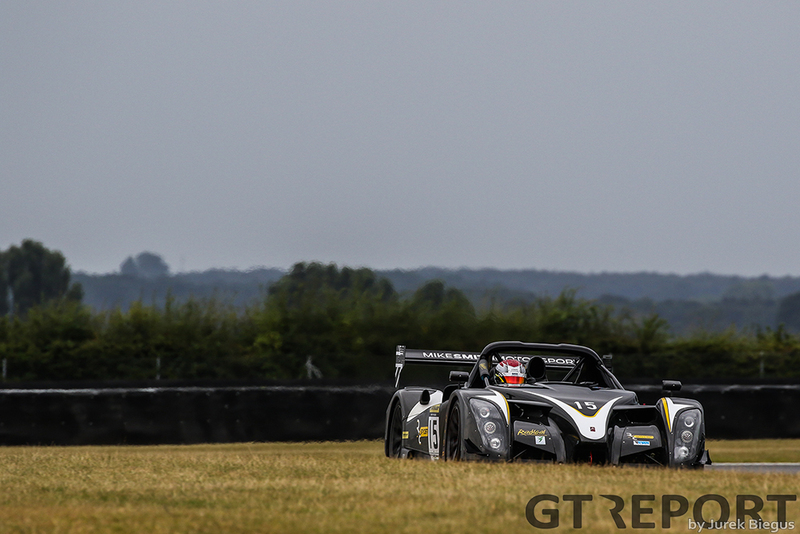 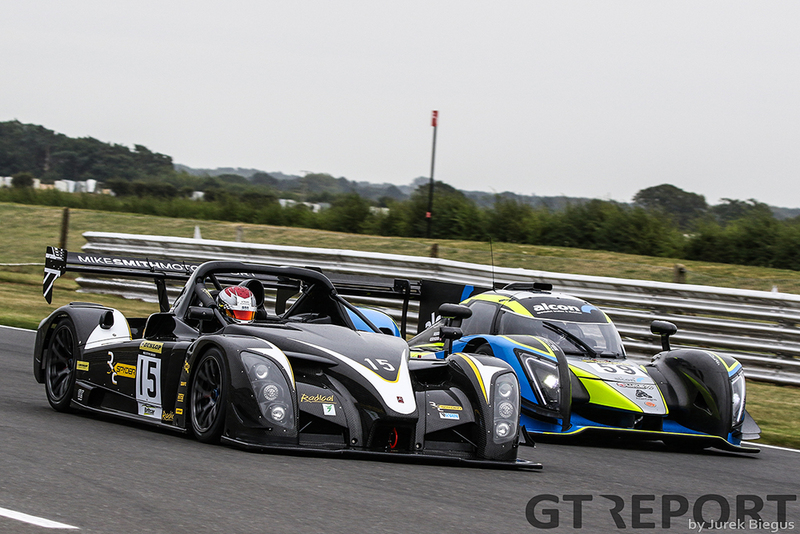 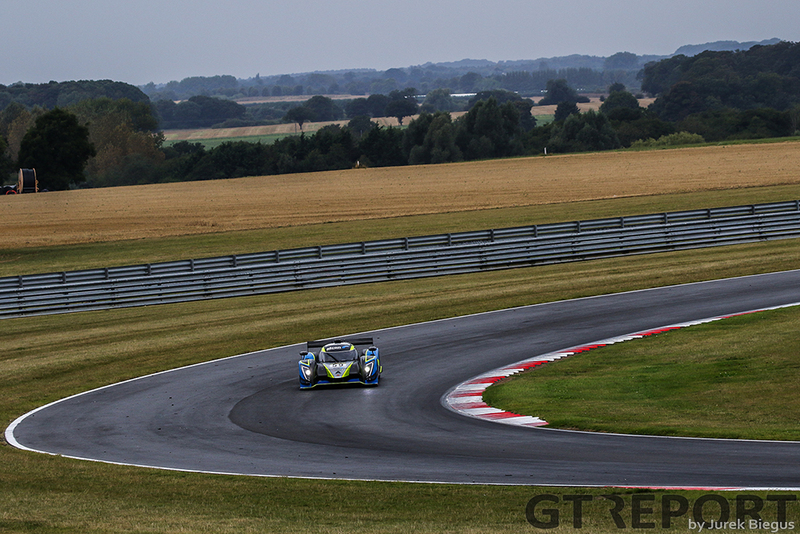 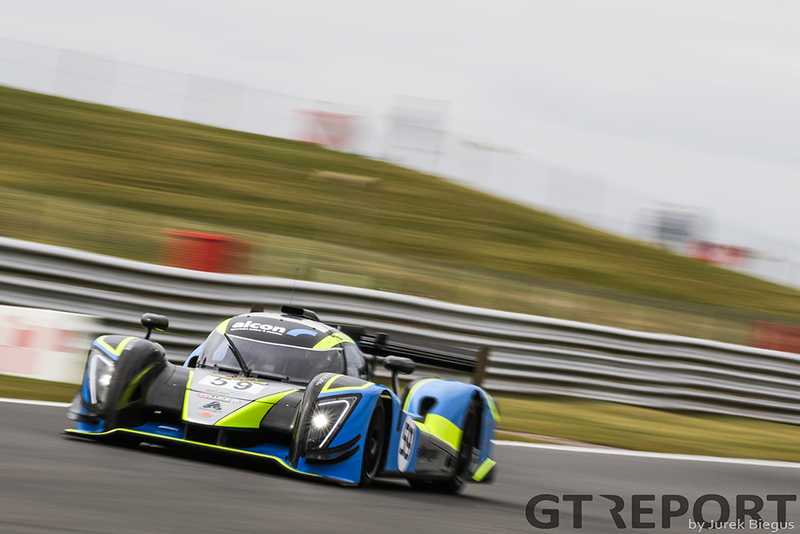 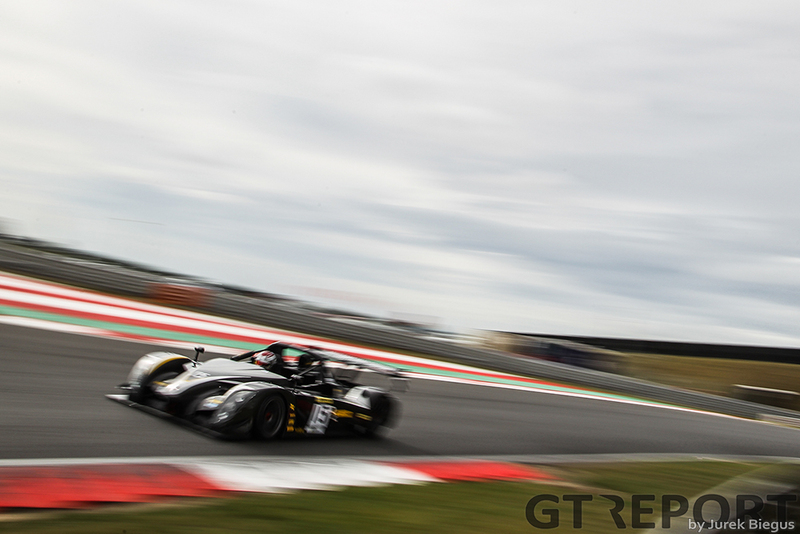 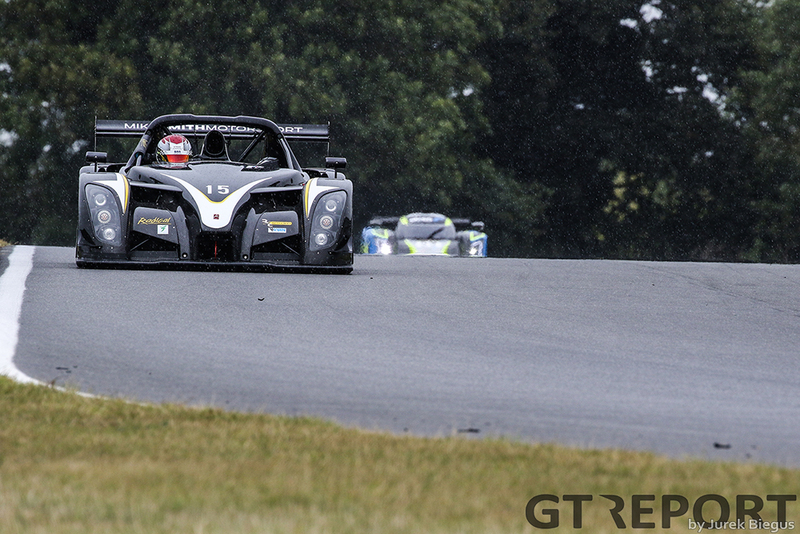 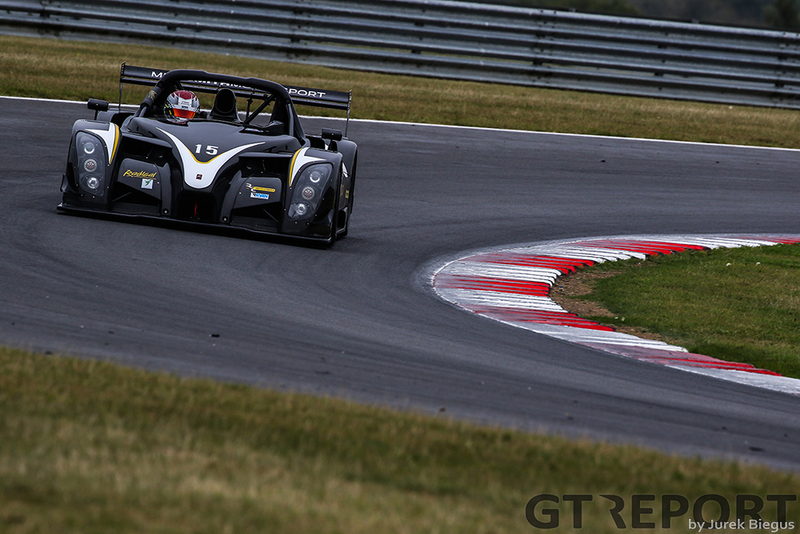 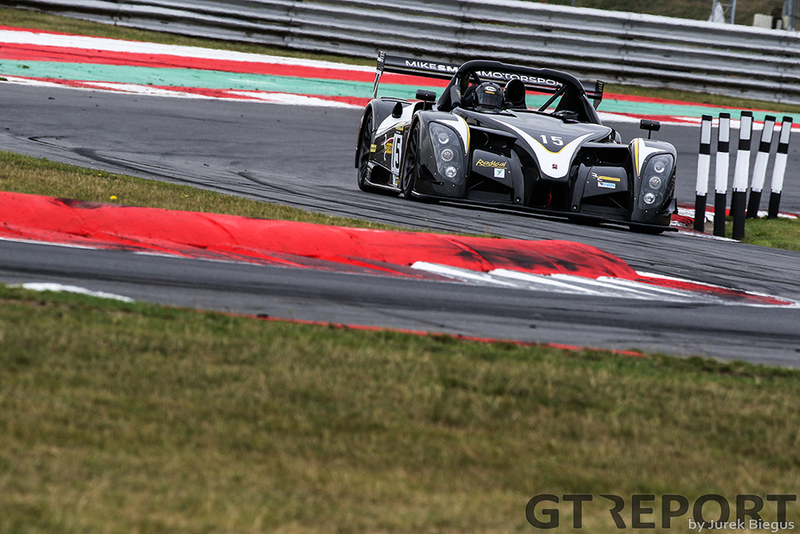 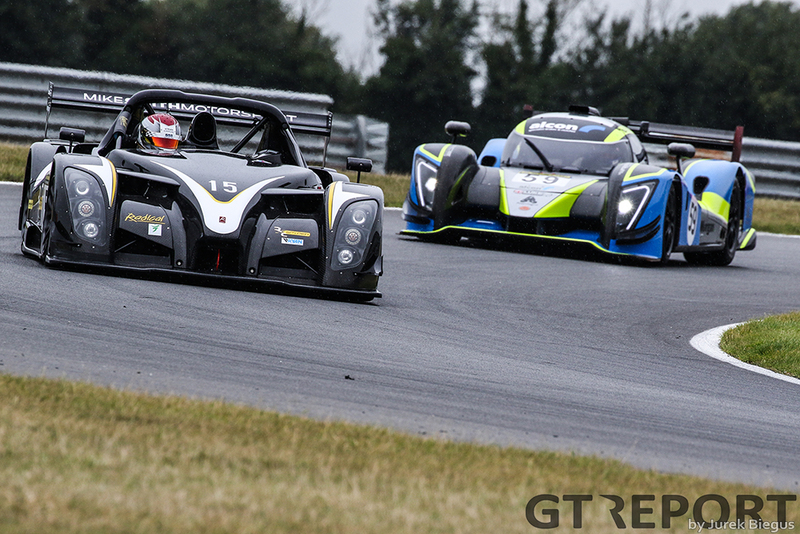 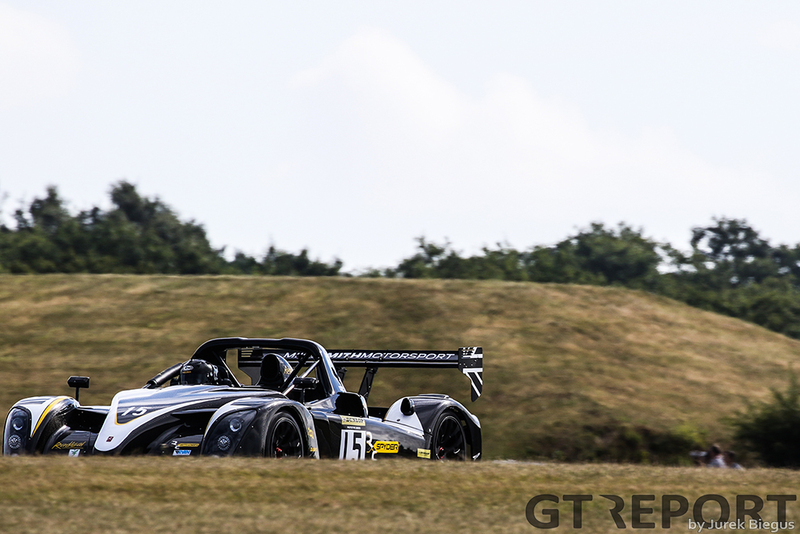 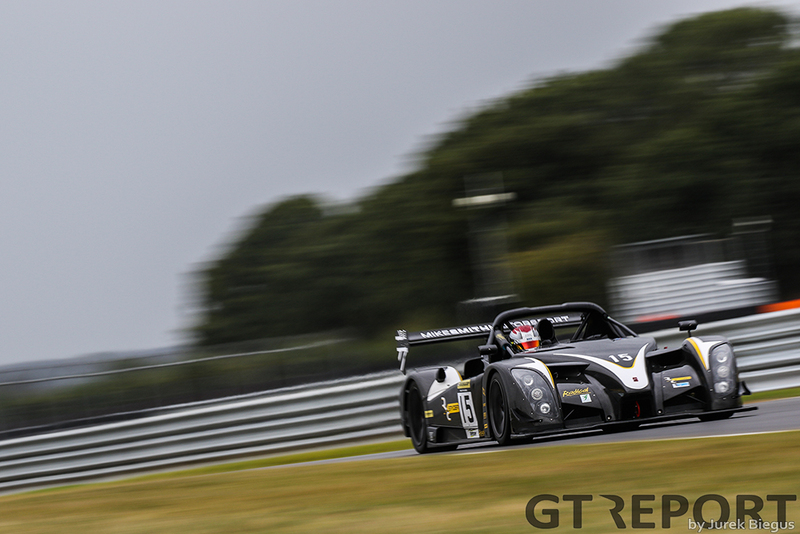 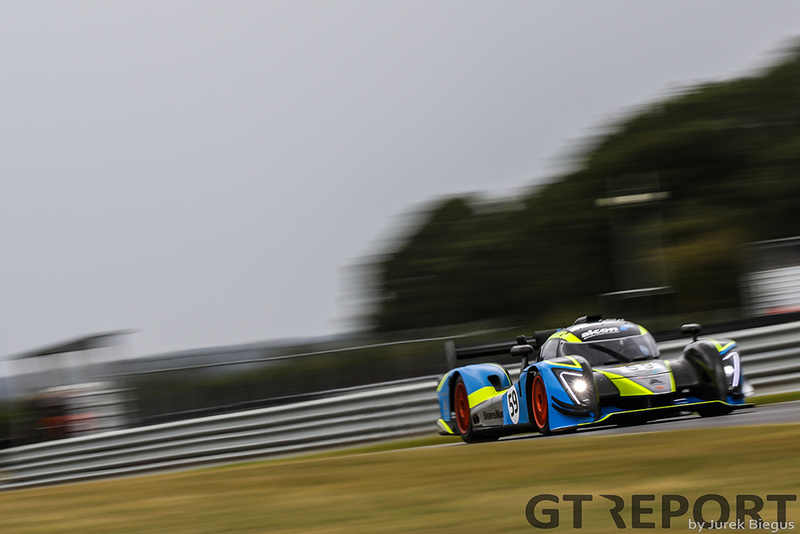 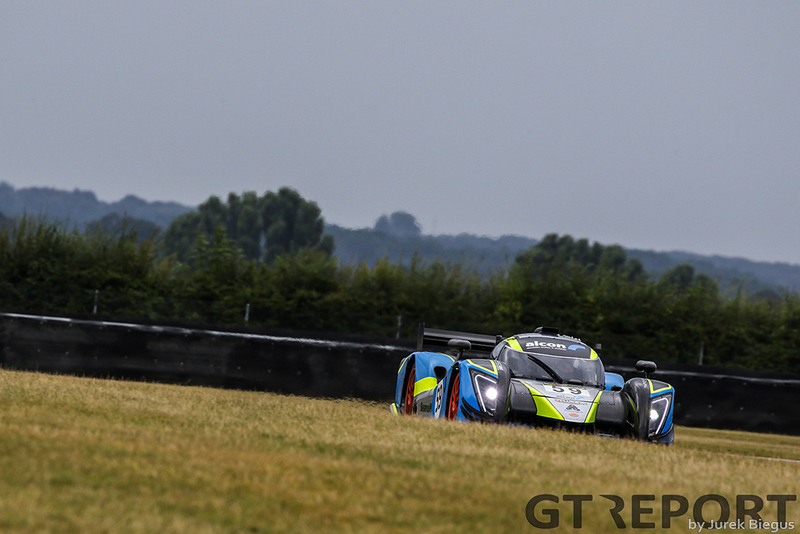 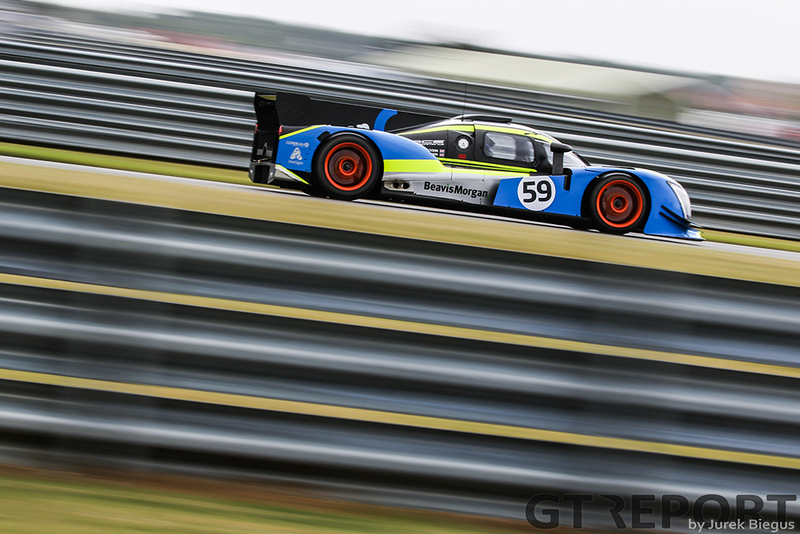 The final race in this season’s Dunlop Prototype Series took place at Snetterton and saw victory for the Radical RXC driven by Morten Dons for Mike Smith Motorsport. 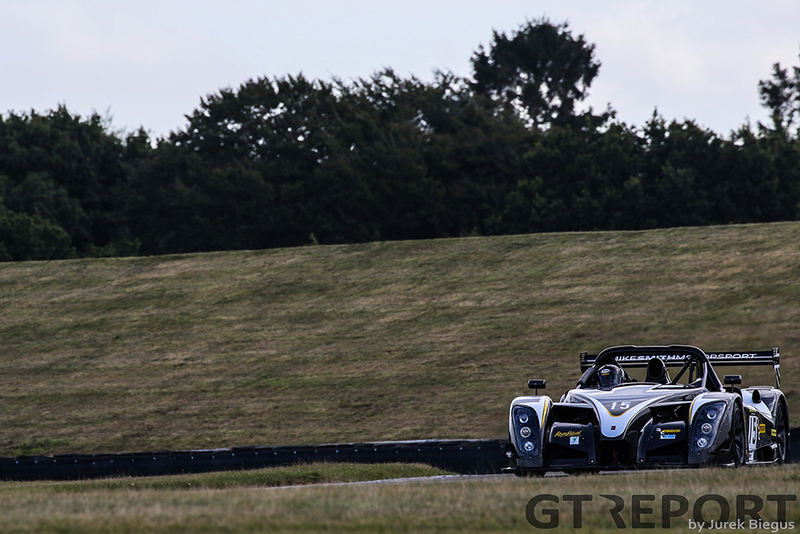 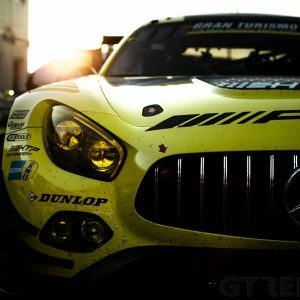 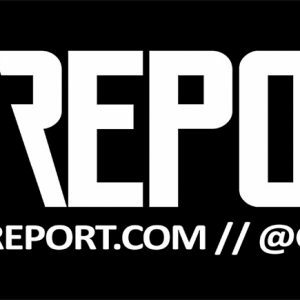 In a race that was low on numbers but high in driver quality, the depleted entry list was opened up to all comers to bolster the field. 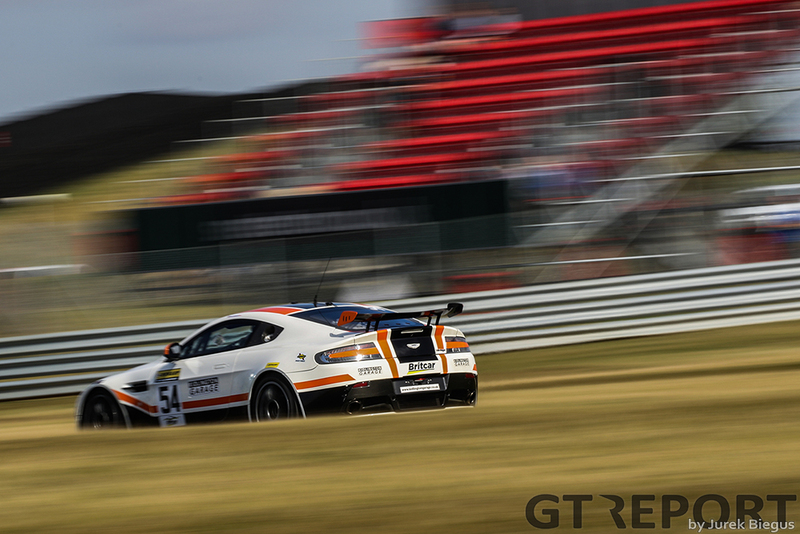 Dons didn’t encounter much resistance from his competitors in his drive to victory. 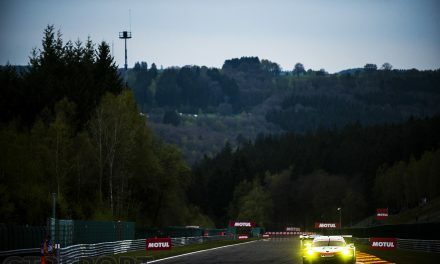 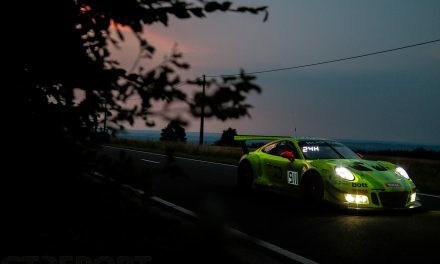 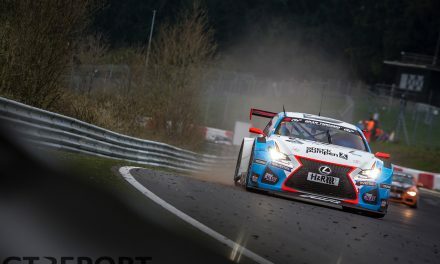 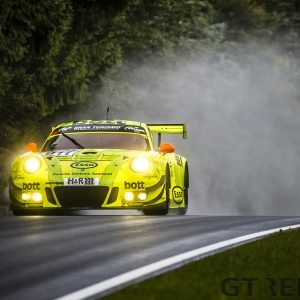 It was mostly the rain that came down heavier and heavier as the race progressed that could threaten the Radical’s win. 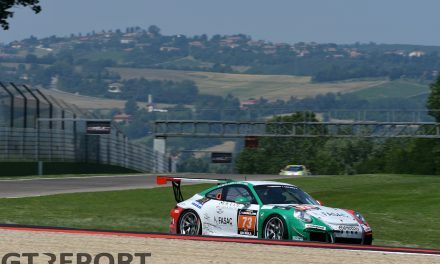 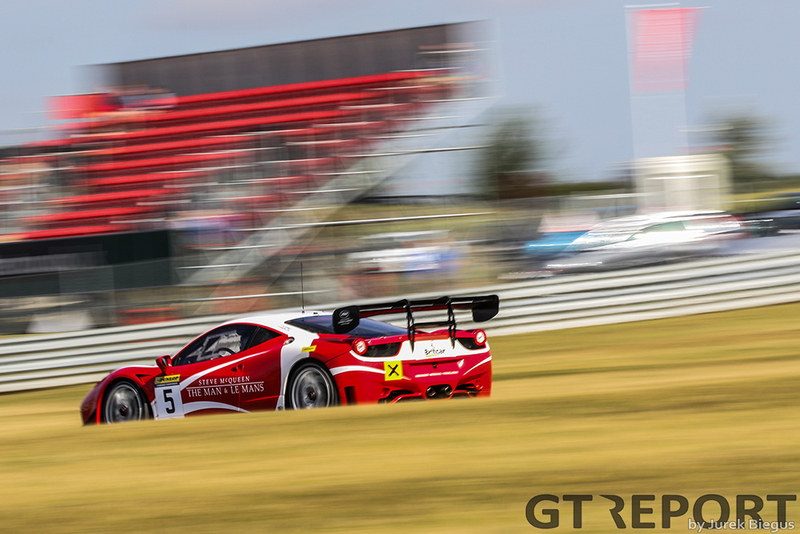 Although Calum Lockie was laps ahead in the lead, the FF Corse Ferrari 458 racer was still out on slick tyres and bound to lose the lead eventually. 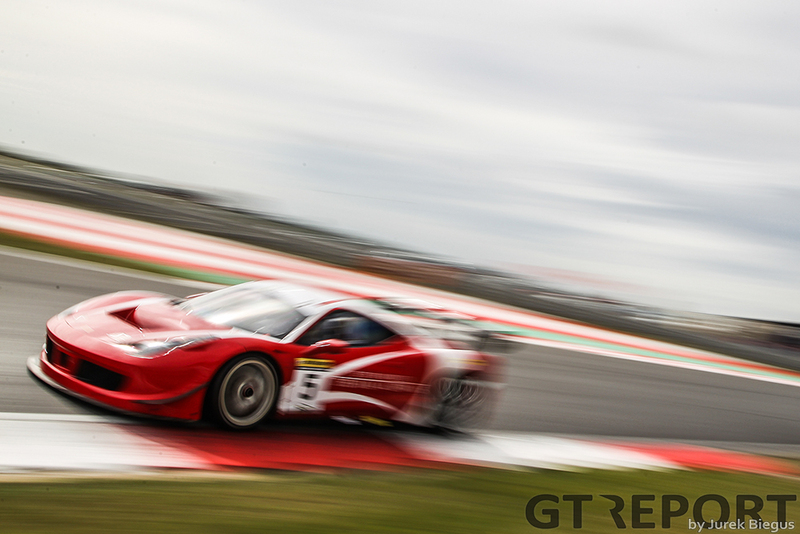 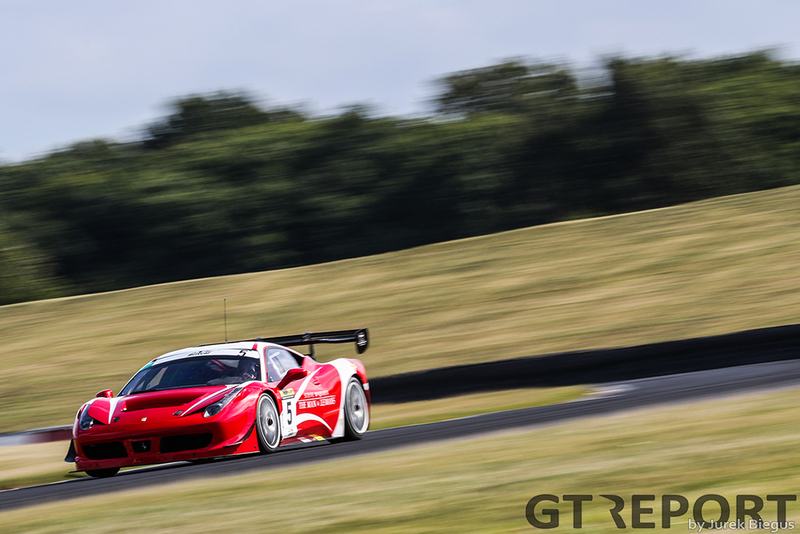 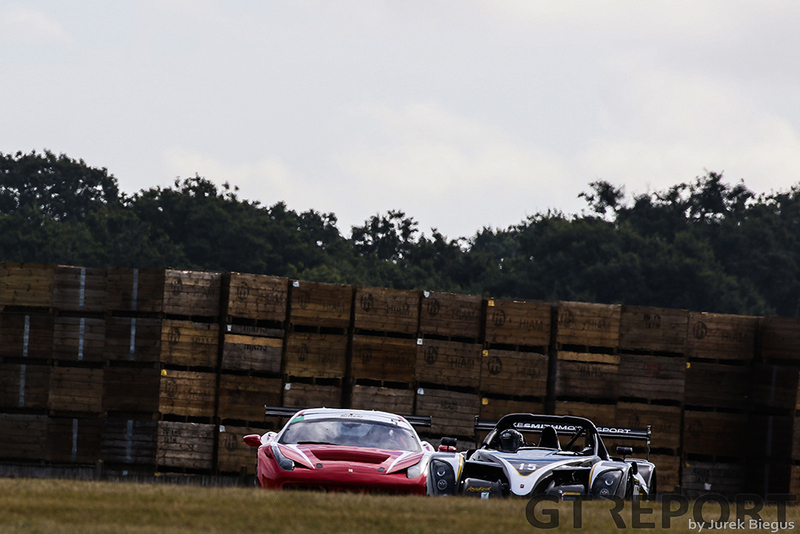 The Dane held Johnny Mowlem in another Ferrari 458 at a distance in the final stages to take the win in Snetterton. 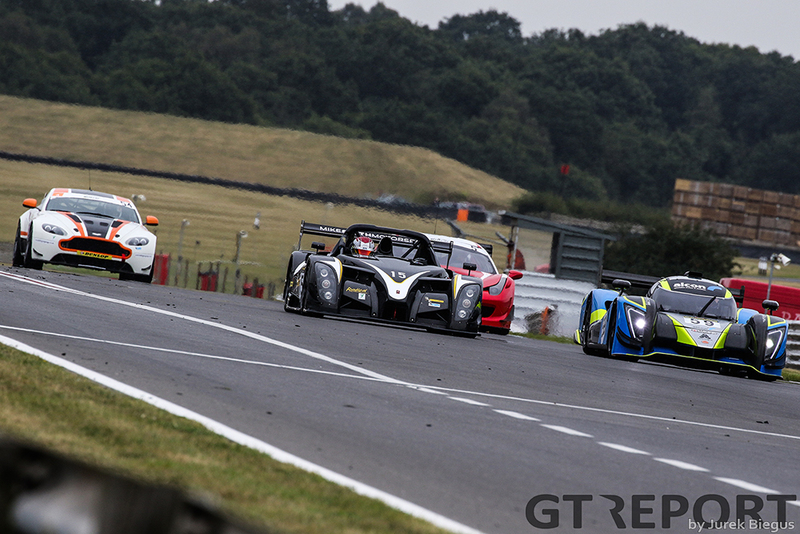 Taking second place was Bonamy Grimes and driver partner Johnny Mowlem in their Ferrari 458 Challenge whilst BTCC ace Ollie Jackson and Alistair MacKinnon took the final podium spot in the Race Performance Ginetta G57. 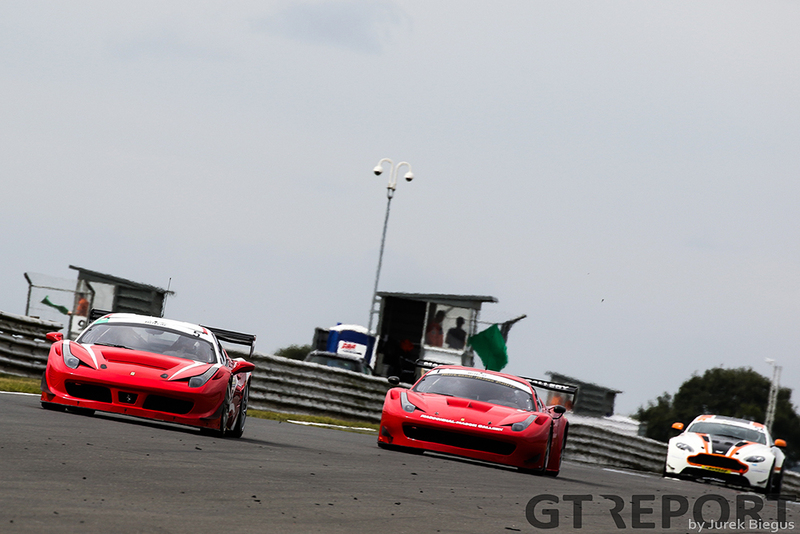 Fourth place went to the FF Corse Ferrari 458 of Former British GT champion Calum Lockie and David Mason whilst the Whitebridge Motorsport Aston Martin GT4 of Chris Murphy and Matty George rounded things off in fifth.